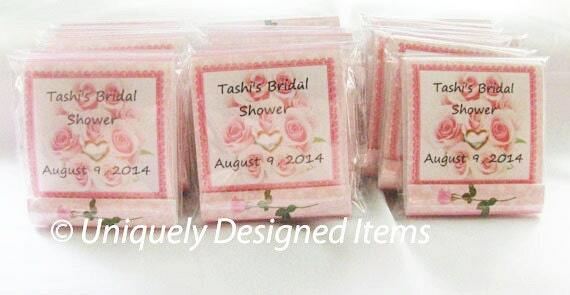 Bridal Shower Favors that every guest will love and keep in their purse for many months to come!! 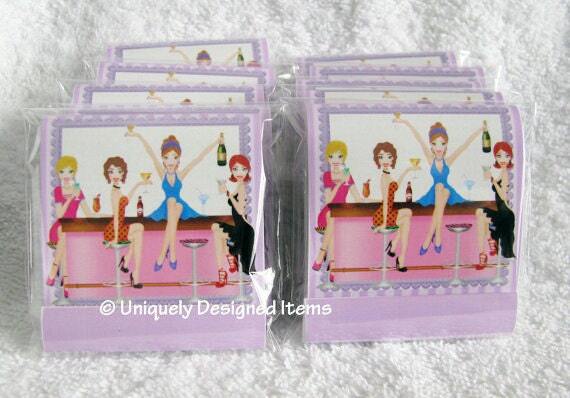 Customized mini nail files are GREAT for any event or business promotion. 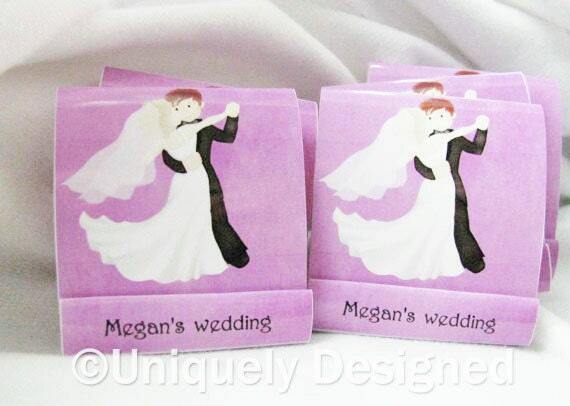 We get a lot of orders for businesses as well as for party favors for a wedding or birthday. Your guest will love these cute and practical, personalized nail file favors. Each nail file favor measures approximately 2.5" wide and 2.75" tall. Inside each nail file favor you will find 6 individual nail files. Outside cover made from glossy card stock. Picture shows front and back side. Plastic sleeve to protect set is included too! 40 paw print in stock (we can no longer get the paw print ones. So once those are gone, that's it unless I find them again). We will not be getting any more paw print ones at the moment they are no longer available. So if you own a business that deals with pets, these are perfect! Grab them while you can. We now have: light blue, medium blue, light pink and medium pink for nail files! We can email you pictures so you can decide. Order yours today! Each booklet has six mini nail files. The back can have all your business info on it. Outside the U.S? No problem. Please email me so I can calculate the shipping for you. Please let me know where you are and how many you want to buy. Email us with the amount you would like and we will adjust the listing and shipping for you. Thank you!